Size: Small (4-6), Color: Black/Yellow is currently out of stock! Includes leotard, headpiece, wings, wand, and shoes puffs. Does not include shoes or tights. Bees are really dangerous with their sting but bee costume looks too much adorable on everyone. Plan for some extra fun and create a buzz with your bumble bee outfit in your party. If you have a bug costume in your mind then cute bee outfit will be your first choice for sure. Memories are always kept for lifelong time and special ocassions come for capturing these memories. You must dress up her in the most iconic party dress and let her feel special about herself. 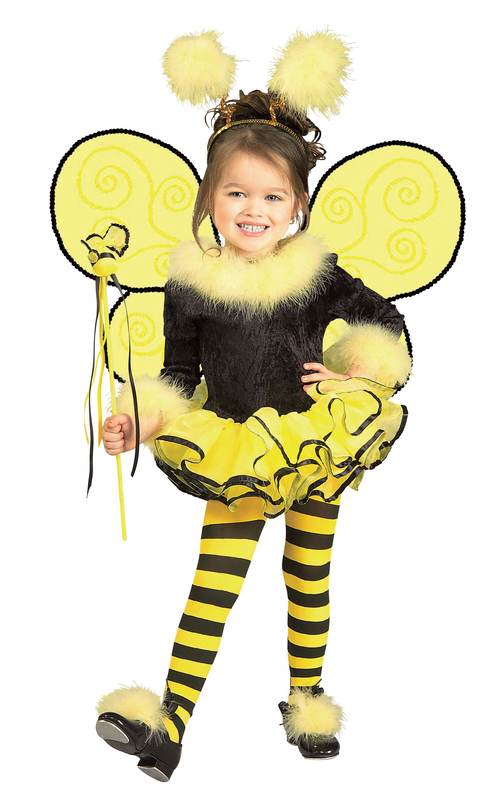 Enjoy your special and unique look with Bumblee Bee Toddler / Child costume.